Smartphones have become a staple in our daily lives and have picked up 40 percent of the e-commerce industry. Consumers look and research on their phones when they want to find a specific product or locate a store where it’s sold. However, mobile conversion rates are 50 percent less than conversion rates from a desktop device, which means you need to avoid these mobile conversion killers with smart Ecommerce web design. If search engines decides your site isn’t mobile-ready it won’t get indexed and people won’t be able to find it, and if they do, the experience won’t be ideal. Google uses the Google Mobile First index which ranks your website for phones, tablets, and desktops. Peed most definitely matters when it comes to websites, especially on mobile. Statistics show if a website takes more than 3 seconds to load 53 percent of customers will leave. You need to ensure your code is structured correctly and that your images are optimized for mobile viewers. Test your speed to verify your site loads quickly. Your design needs to be responsive to the device a user accesses it on. The resolution needs to adapt to the visitor’s screen size for the device they’re visiting on. Don’t forget to adjust your navigation and search options along with your checkout process to maximize mobile conversion. Mobile visitors are limited by the small screen so it’s absolutely essential for you to implement an effective search engine to allow them to find what they want quickly. Don’t forget to include links to similar products and utilize predictive text to make it easier to search. Smartphone screens are much smaller than desktops, and your site needs to reflect this. Visitors want to be able to find what they’re looking for without visiting every page on your website. It’s key to keep your navigation system simple and easy if you want visitors to find out where they can go and how to get there. Anywhere from 30 to 50 percent of consumers leave the checkout page if they have to log in to complete their purchase. Add a guest checkout option to keep your visitors happy and encourage them to finish the process. Stay ahead of the game and create your website to cater to all visitors. 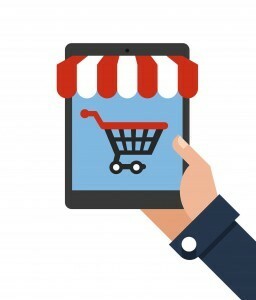 Users are visiting more often from mobile devices, so take advantage of this knowledge and stay ahead of the game by avoiding these E-Commerce mistakes.